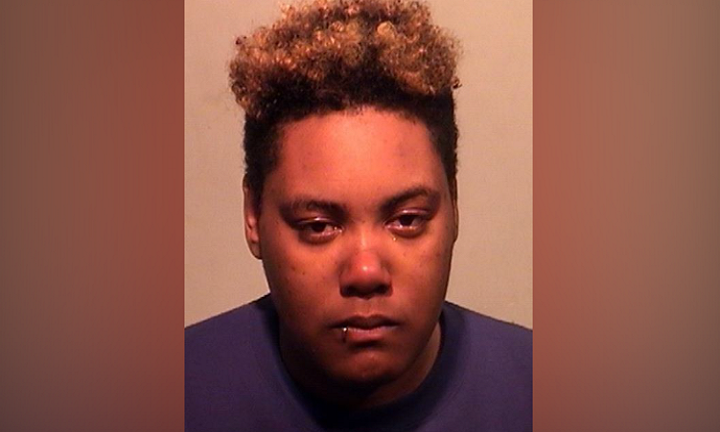 UPDATE: Friday, August 3rd, 1:30 P.M. — A jury trial has been set for a woman arrested after allegedly assaulting another woman at the Wonderland Motel in Ishpeming in January. 22 year-old Chloe Jazmin Shumate was arrested on a five-count felony warrant for assaulting a woman and fleeing the scene. Her charges include assault with intent to murder (possible punishment of life in prison), two counts of unlawful imprisonment (punishable by up to 15 years for each count), assault with intent to do great bodily harm less than murder or by strangulation (punishable by up to 10 years in prison) and interfering with electronic communications causing injury or death (punishable by up to four years in prison). She pleaded not guilty to her charges. Her four day jury trial is scheduled to begin at Marquette County Circuit Court on August 27th at 9 A.M. The Ishpeming Police Department has located suspect Chloe Jazmine Shumate. She is currently lodged at the Marquette County Jail. UPDATE: Tuesday, January 23rd at 1:00 p.m. The City of Ishpeming Police Department is still actively searching for 22 year-old Chloe Jazmin Shumate. The Marquette County Prosecutor’s Office issued a five-count felony warrant for her arrest on Tuesday morning. Her charges include assault with intent to murder (possible punishment of life in prison), two counts of unlawful imprisonment (punishable by up to 15 years for each count), assault with intent to do great bodily harm less than murder or by strangulation (punishable by up to 10 years in prison) and interfering with electronic communications causing injury or death (punishable by up to four years in prison). The Ispheming Police Department is asking anyone with information on her possible location to contact the department at (906)486-4416 or Central Dispatch 911. ISHPEMING — The City of Ishpeming Police Department is asking for the public’s assistance to locate a female subject. Twenty-two year-old Chloe Jazmin Shumate is a person of interest in a serious assault that took place Sunday around 7:00 a.m. at the Wonderland Motel on Palms Avenue in Ishpeming. Shumate fled the scene before officers arrived. The 36 year-old victim was taken to U.P. Health System – Bell where she received treatment for her injuries. Her name will not be released. The City of Ishpeming was assisted by Michigan State Police K-9 Unit, Negaunee Police Department and the Marquette County Sheriff’s Office. The K-9 unit attempted to track Shumate and was unsuccessful. If anyone has information about Shumate’s whereabouts, contact the City of Ishpeming Police Department at (906)486-4416.